Some European football federations stand to earn up to $75 million every two years if plans for a new global league are approved as part of FIFA’s $25 billion overhaul of competitions. 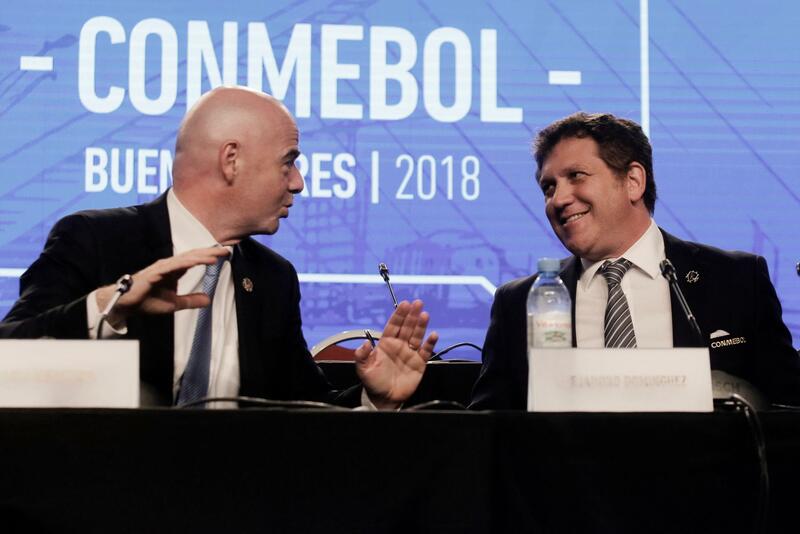 The global league plan was developed by UEFA, where Infantino was general secretary until 2016, to replace international friendlies. A European version is already due to start in September. Division 1: $15M per team plus $10M for winner and $5M for runner-up. Division 2: $5M per team plus $5M for winner and $2.5M for runner-up. Division 3: $3M per team plus $3M for winner and $1.5M for runner-up. Division 4: $2M per team plus $2M for winner and $1M for runner-up. Division 5: $1.5M per team plus $1.5M for winner and $0.75M for runner-up. Division 6: $1M per team plus $1M for winner and $0.5M for runner-up. Division 7: $0.5M per team plus $0.5M for winner and $0.25M for runner-up. Published: May 1, 2018, 1:02 p.m. Updated: May 1, 2018, 4:55 p.m.